A powerful administrative and financial reporting system that simplifies all critical activities involved in managing a practice. iMedPM increases productivity and generates more revenue by empowering you to manage your schedule, patient information, and billing processes more effectively. 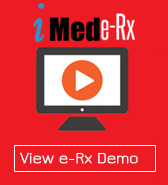 This intuitive and user-friendly system delivers unparalleled insight into your practice.